The right shelving can dramatically improve efficiency in your work environment by optimizing space, expediting the movement of freight in the warehouse, and promoting workplace safety. The correct choice can save your company both time and money. Come in to Culver Equipment where we have a huge inventory of industrial shelving pick mods at great prices. 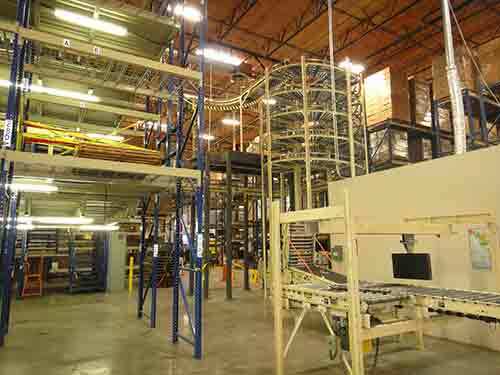 At Culver Equipment, we offer rack supported mezzanine systems, a safe and cost effective way to provide more floor space. Our systems include rail stairs, loading zones, full protection decking, lifts and more. Culver offers full service product for any rack supported mezzanine along with customized accessories. All of our products are designed to meet all local building requirements (UBC, BOCA, IBC, and OSHA), so allow us to help you find the innovative solutions you need. Maximize the use of space in your warehouse with Culver’s structural mezzanine systems. Large, heavy duty work areas become more efficient by utilizing the maximum height of your warehouse, previously air space. 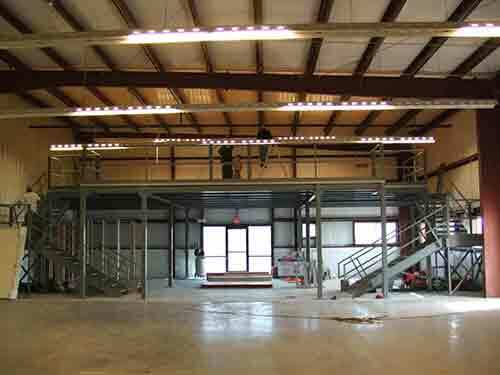 Structural mezzanine systems are incredibly versatile: parts can be easily disassembled and reused. The location, structure and dimensions of your mezzanine can be customized to your unique specifications.